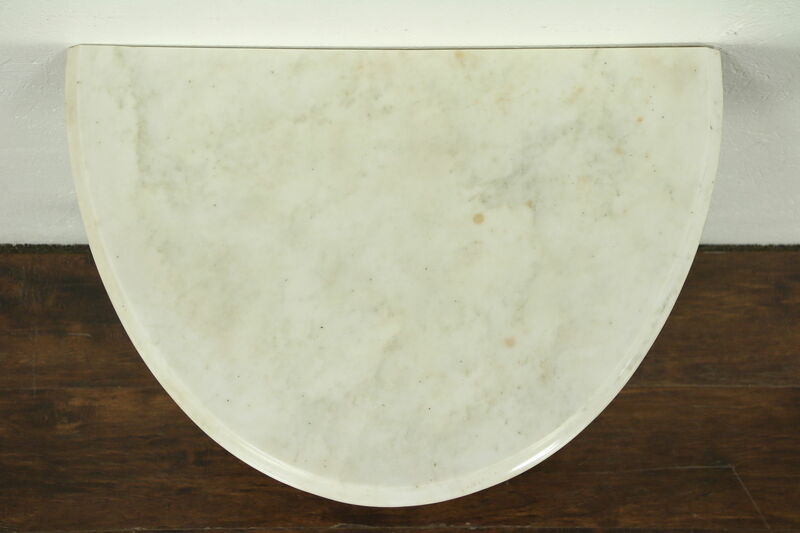 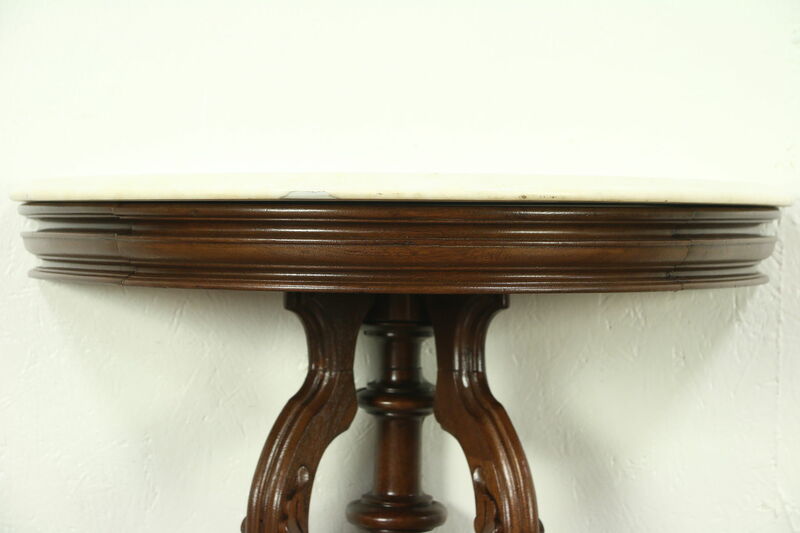 A Victorian period half round or "demilune" hall console table with marble top dates from the 1860's. 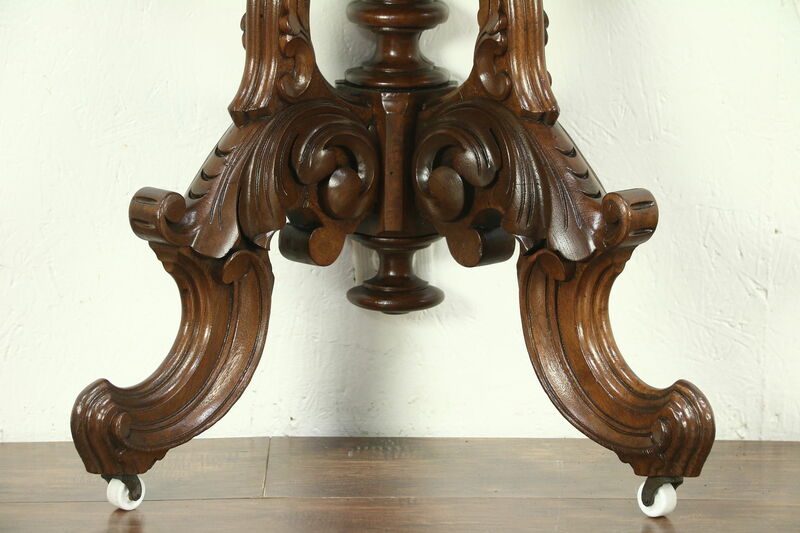 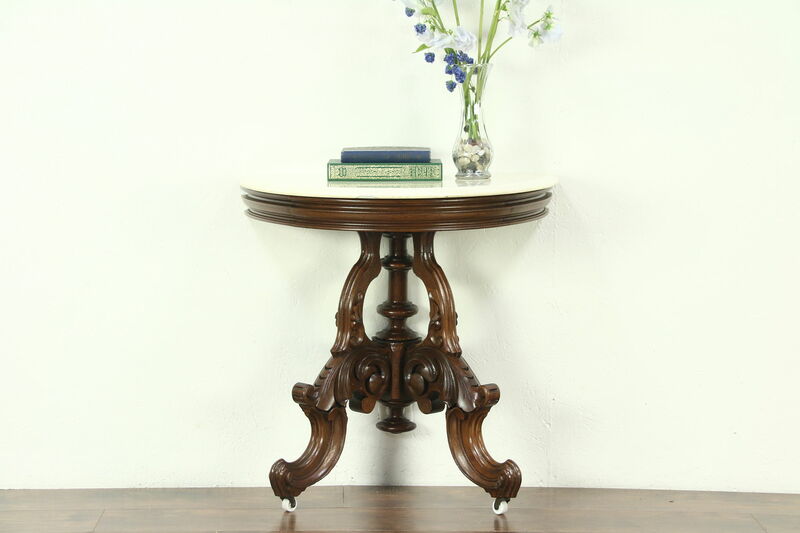 Deeply hand carved of solid walnut, the renewed finish is in excellent condition. 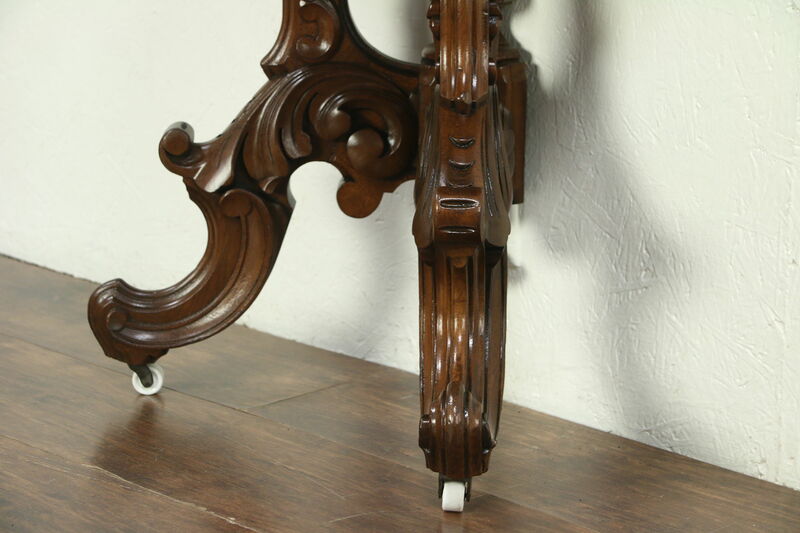 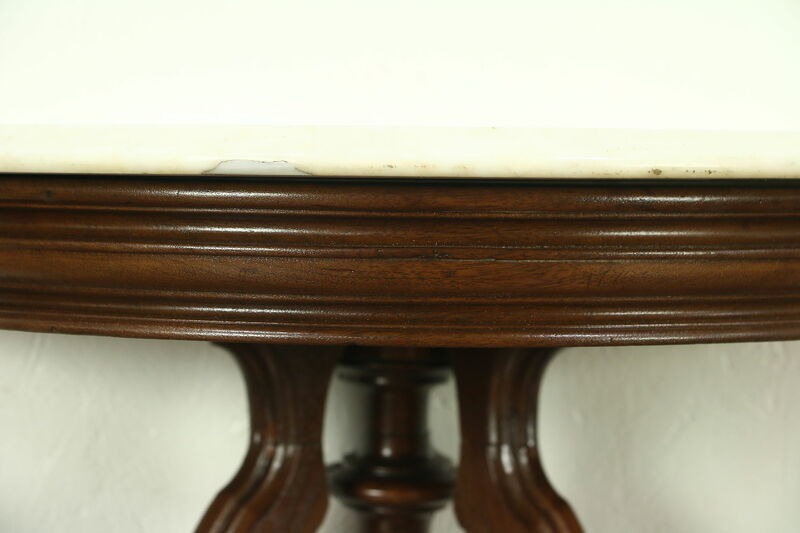 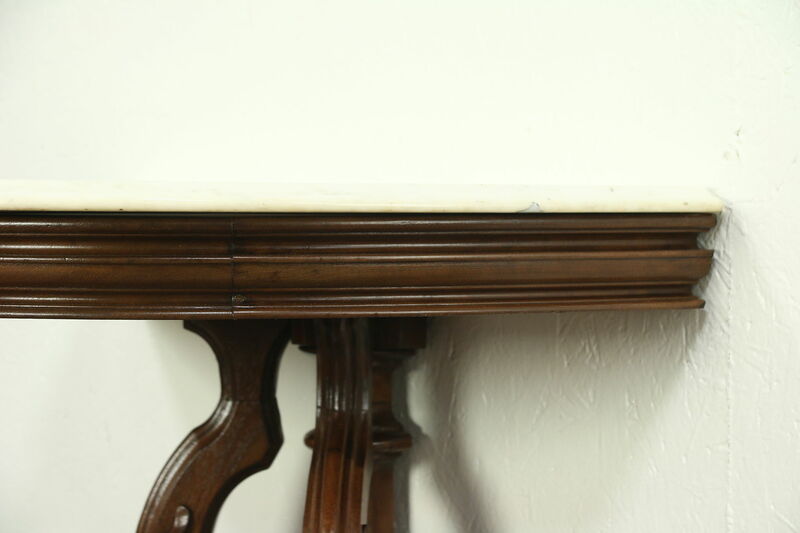 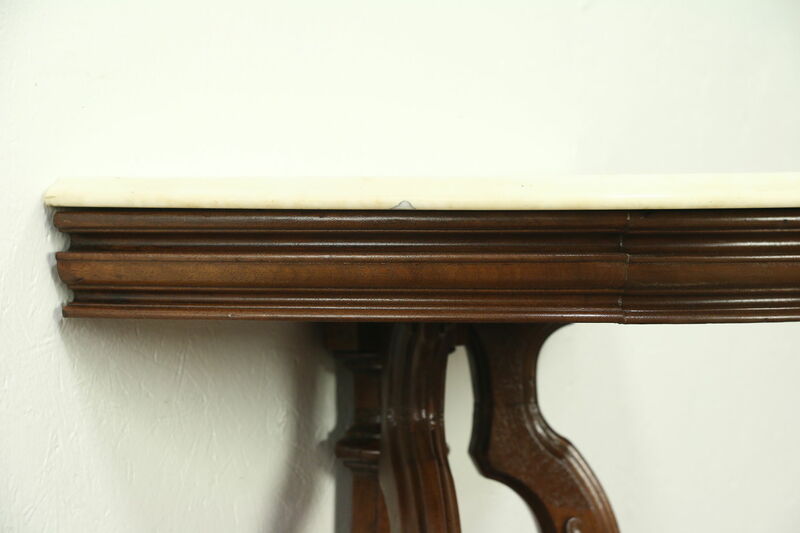 American made antique furniture, the marble has some stains and restored chips to the bottom edge, see photos. 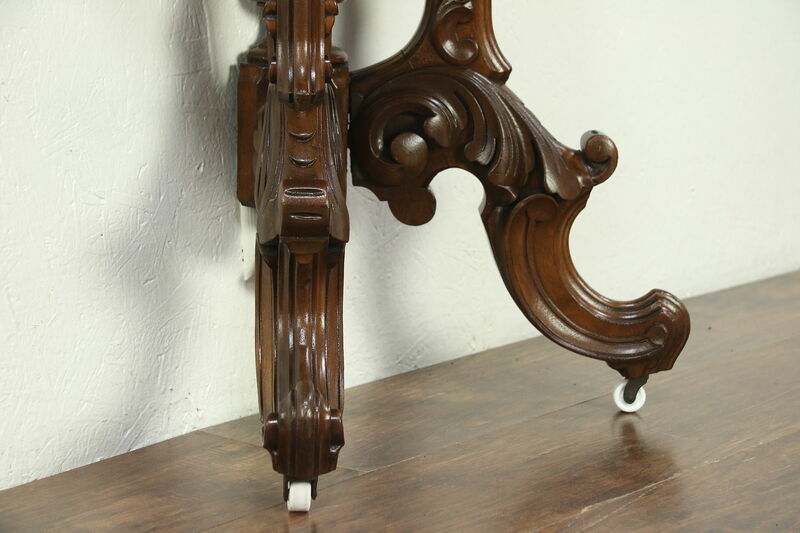 It has been polished and given a protective finish. 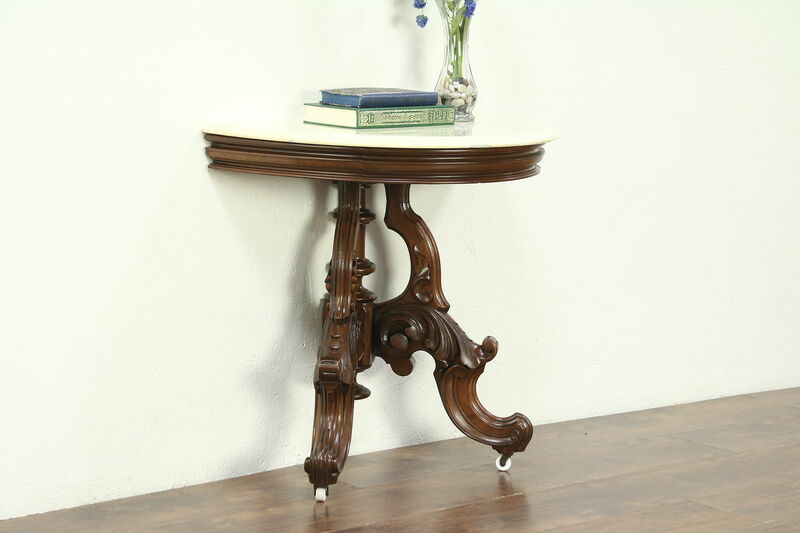 This graceful table must be anchored to the wall. 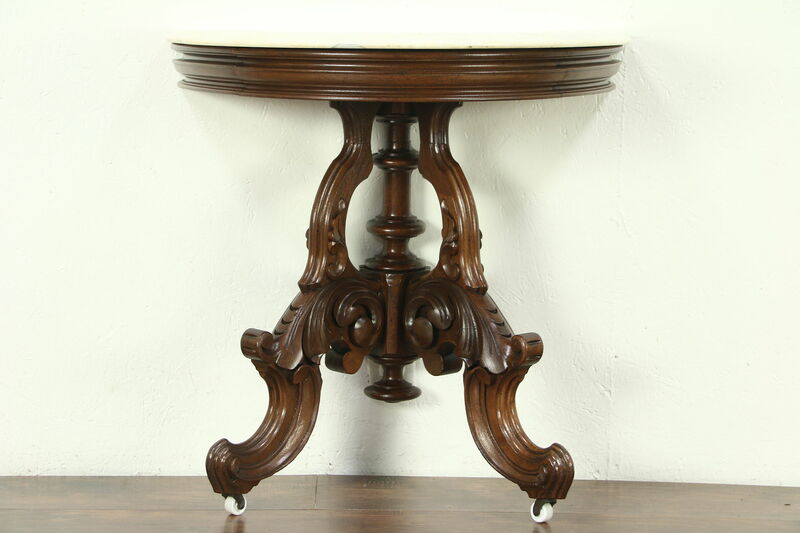 Size is 27" wide, 19" deep and 27" tall.